If you are seeking an experienced general dentist offering superior care in Queens or a surrounding New York community, look no further. At Astoria Dental Group, we believe everyone deserves a healthy, beautiful smile they are confident with, and we have a comprehensive range of services available to help you achieve this goal. Schedule a consultation with us today to learn more. 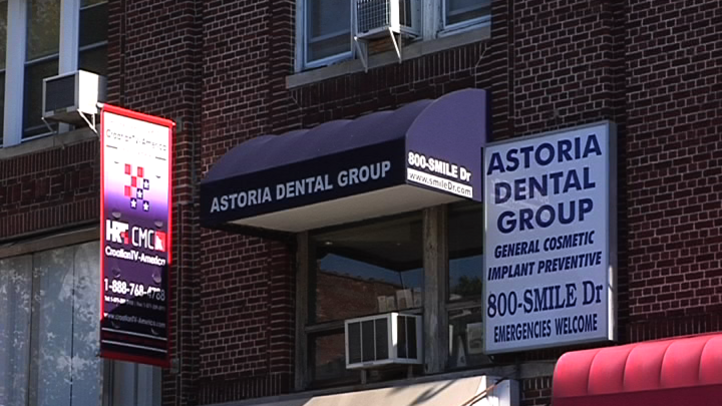 Astoria Dental Group has a solution for nearly any dental case, from the most extreme to even the simplest. When you find yourself in need of a credentialed, experienced dental professional, you won't have to go far. Drs. Clifford Degel and Carmen Every-Degel, along with our knowledgeable, friendly staff, cater to the dental needs of patients all throughout New York City. If you want to enhance your smile so it looks and feels its best, our Queens-area general, restorative and cosmetic dentistry practice is tailored to meet your needs. Our office is designed with each patient's comfort in mind, for a pleasant dental experience. Plus, with state-of-the-art equipment, you will always receive the latest in dental treatments. Contact our Queens-area dental practice today for more cosmetic dentistry information. The dentists at our practice have earned their reputation as leaders of the industry, with 17 years of experience treating patients. We stay up-to-date on the latest procedures, techniques and dental technology, so treatments are as quick and painless as possible. Whether you want BOTOX® injections to smooth facial lines and wrinkles, Invisalign® to inconspicuously straighten teeth or a complete smile makeover, Astoria Dental Group delivers impeccable results. Maybe you have one or more missing teeth, causing embarrassment or discomfort. We may recommend the placement of dental implants, dentures or a dental bridge to fill the gap and give you a complete, healthy smile. Or, if you have one or more cracked, chipped or stained teeth, our dentists can efficiently place beautiful porcelain veneers to hide these imperfections. Perhaps you want brighter pearly whites. A teeth whitening session at Astoria Dental Group could be just the right treatment to obtain a brilliant, stunning smile. In addition to cosmetic dentistry services, our practice provides general dentistry care to suit your needs. A comprehensive dental exam is recommended twice a year at our office to maintain optimum oral health. Additionally, our talented dental staff can administer tooth-colored fillings for cavities, or perform tooth extraction and root canal therapy when needed. The talented professionals at Astoria Dental Group can facilitate any general, cosmetic or restorative dental procedure for a better-looking, healthier smile. The first step toward an improved smile is consulting with a knowledgeable dental professional. Contact our Queens-area general, restorative and cosmetic dentistry practice to learn about various procedures, and which might be right for you. We will ensure each question is addressed so you can make an informed decision about your dental health.